A former longtime advisor to President Barack Obama predicted Wednesday that the employer mandate a key piece of the law will not survive. 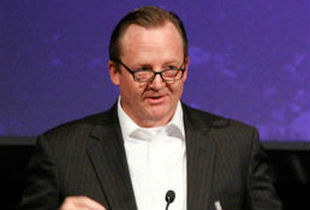 It was among several predictions Robert Gibbs, former White House press secretary, had for the future of the Patient Protection and Affordable Care Act in a speech at the 2014 Benefits Selling Expo. “I don’t think the employer mandate will go into effect. It’s a small part of the law. I think it will be one of the first things to go,” he said to a notably surprised audience. The employer mandate has been delayed twice, he noted. The vast majority of employers with 100 or more employees offer health insurance, and there aren’t many employers who fall into the mandate window, he said. Killing the employer mandate would be one way to improve the law — and there are a handful of other “common sense” improvements needed as well, he said. Others include better outreach ahead of next year’s enrollment — educating people about the law’s deadlines, penalties and subsidies; improved technology; and greater incentives, besides not having to pay a low penalty, to young people so they will enroll in health coverage. Despite the tough road for PPACA, Gibbs remained adamant health reform “had to be done” and needs to forge ahead. Because of the law, he said more people are covered than ever before, new community health centers are helping underserved areas, and adults face less fear over being rejected for coverage because of the pre-existing conditions. With PPACA — as well as other innovations and strides in treatment — the country will get closer to more meaningful care. Despite the hardships of getting Americans on board with the law, he said the public was largely coming around. Poll numbers have shown that despite opposition to the law, the majority of Americans don’t want PPACA repealed. Instead, they prefer improving the law. And Gibbs is all for it. “We need to have an honest discussion about improving and tweaking the law,” he said. After all, the law, he reminded the audience, is still in its very beginning stages, “in the first inning” of the game.